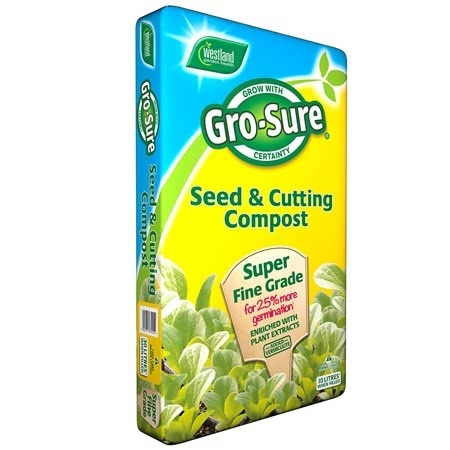 Pack of approx 380 seeds, suitable for sowing indoors or outdoors. Attractive seed pods - great for borders. 5 in stock (Available Now). Nigella (hardy annual) - quite simple the best and widest mixture of Nigellas you will find. 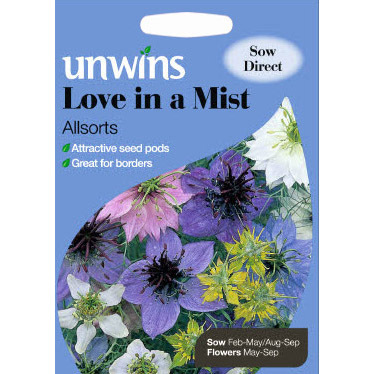 Allsorts are great for garden display and as cutflowers. The seed pods are good for use in dried flower arrangements. 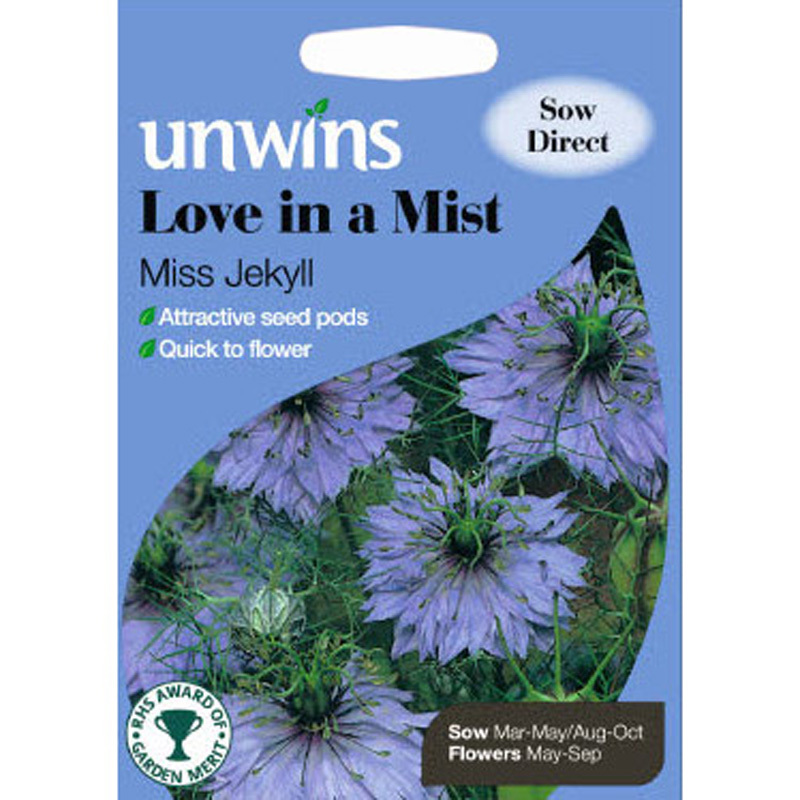 If you would like further information about Unwins 'Allsorts' Love in a Mist Seeds, please contact our garden centre at Shawbury just outside Shrewsbury in Shropshire, by calling 01939 251315 or emailing.